Looking to pick up a new title for your console? Before you spend your money, check out our top five recommended Japanese role-playing games. Japan — the birthplace of Mario, Donkey Kong, Pokémon and more — has a deep-rooted subculture of video games. Whether it be the loud, electric streets of Akihabara, the teens loitering around the local game center or the advertising in convenience store windows; video games are visibly present virtually everywhere in the country. To the mainstream masses, games like Super Mario or Pokémon are the embodiment of the Japanese gaming industry. However, Japanese developers have routinely created a unique type of role-playing game, so much so that the video game industry gave Japan its very own classification: the Japanese role-playing game, also known as the JRPG. Today, JRPGs are one of the biggest and most popular categories in the industry. 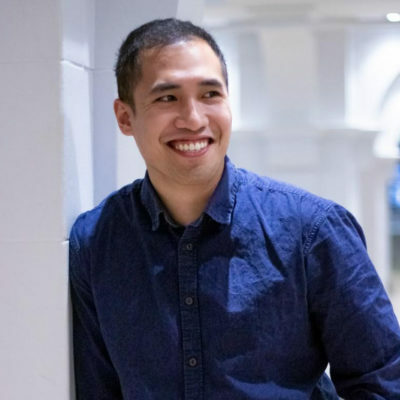 The JRPG genre attracts both a mainstream and cult following for bigger series like Final Fantasy and lesser-known titles like Legend of Heroes. If you’re a gamer, it’s likely that you’ve heard the names of numerous JRPGs before, but if for some reason you’ve never had the chance to pick one up — in the spirit of this year’s Tokyo Game show — here are five of the best Japanese role-playing game series that every gamer should try. If purchasing these games in physical format keep an eye out for the ratings block at the bottom left corner of the game. North America uses the ESRB rating system. If you see these ratings at the bottom corner of the game, it will be an English release. 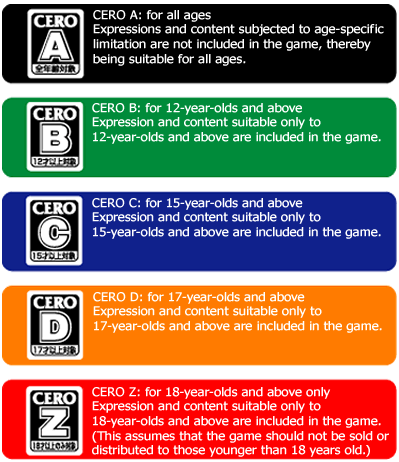 Japan uses the CERO system, so if you see these ratings, it will be a Japanese release of the game. To start, let’s jump right into a series that likely everyone has heard of. Created by Square Enix (formerly Square), Final Fantasy, is one of the most famous and lucrative JRPG series of all time. The second best selling role-playing franchise of all time (bested only by Pokémon), the series has spawned anime, films, trading cards and countless video games on every major platform. It manages to draw in fans — both old and new — with each installment as each game is set in an entirely different world featuring entirely different characters. Gameplay and battle mechanics also vary from game to game, meaning there is no need to play past games in sequential order. Each release can be picked up and played by people who’ve never touched a Final Fantasy game before. 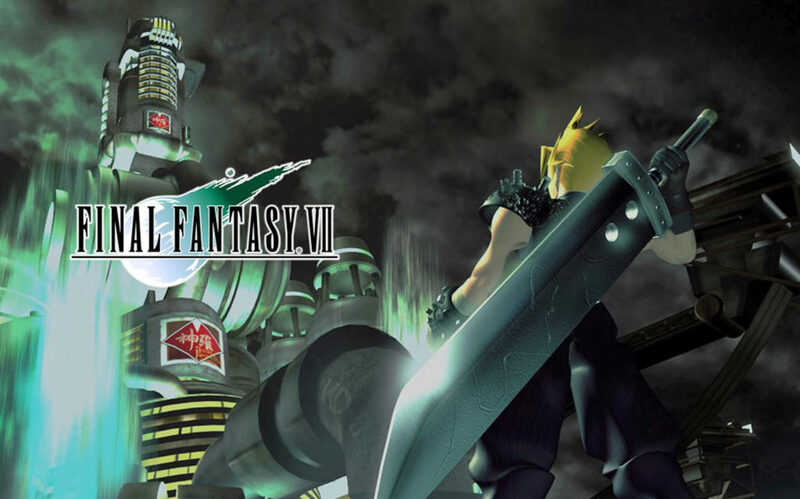 Popularized by Final Fantasy 7 — the highest grossing game of the franchise — the series has spawned 15 main titles and dozens of spin-off titles as well as incredibly successful massively multiplayer online role-playing games, or MMORPGs. 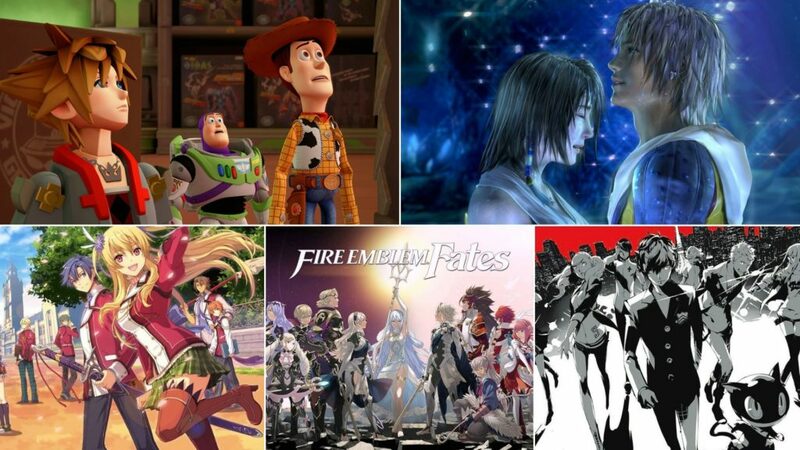 Another well-known JRPG is Kingdom Hearts, a series that manages to draw in both Japanese and Western gamers by utilizing a crossover of Final Fantasy, The World Ends With You, Pixar and Disney characters. The game follows Sora, a 14-year-old boy who is trying to get back to his friends after they are separated during an invasion of their island. 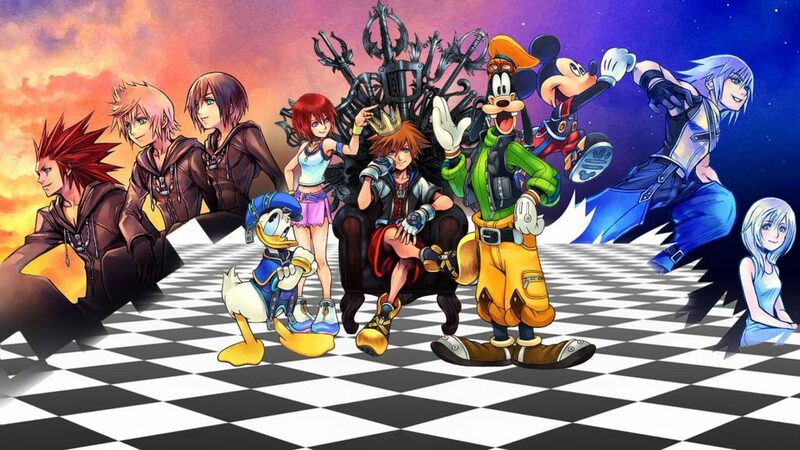 Sora spends the majority of the first game in the series accompanied by Donald Duck and Goofy as they explore various Pixar, Disney and Square Enix universes, fighting monsters known as the Heartless while searching for Donald and Goofy’s missing king, Mickey Mouse. The series has had numerous spin-offs and remasters released, but there remains only two main titles in the series: Kingdom Hearts and Kingdom Hearts II, both released for the PlayStation 2. Finally, over 10 years since the last main release in the series, Square Enix plans to release Kingdom Hearts 3 in 2019 for both PlayStation 4 and Xbox One. The Legend of Heroes is a lesser-known JRPG series that dates back to the late ’80s in Japan and early 2000s in the West. In North America, the series was only released on the PlayStation Portable (PSP) system, which led to less reception of the series as a whole with English-speaking gamers. However, with polished graphics and audio, entertaining battle mechanics and humble yet enjoyable stories, The Legend of Heroes is a series that shouldn’t be overlooked. The PSP titles of the games have been criticized for their forgettable and cliché stories. While the narratives are not amazing by any means, I enjoyed these games the same way I’d enjoy a light summer novel. These are games you can pick up and play anytime without a major reliance on knowing the lore of the world in which they are set. With the relatively recent release of The Legend of Heroes: Trails of Cold Steel on both the PlayStation Vita and PlayStation 3, the series is starting to gain more traction in North America. In particular, Trails of Cold Steel made major positive changes to gameplay, introducing a relationship system similar to the Persona series, as well as major improvements to battle mechanics — making it one of the best JRPGs I’ve ever played. We can’t talk about JRPGs without mentioning Persona, also known as Shin Megami Tensei (its parent franchise). The success of the Persona series helped establish Atlus as a major game developer and publisher in North America. 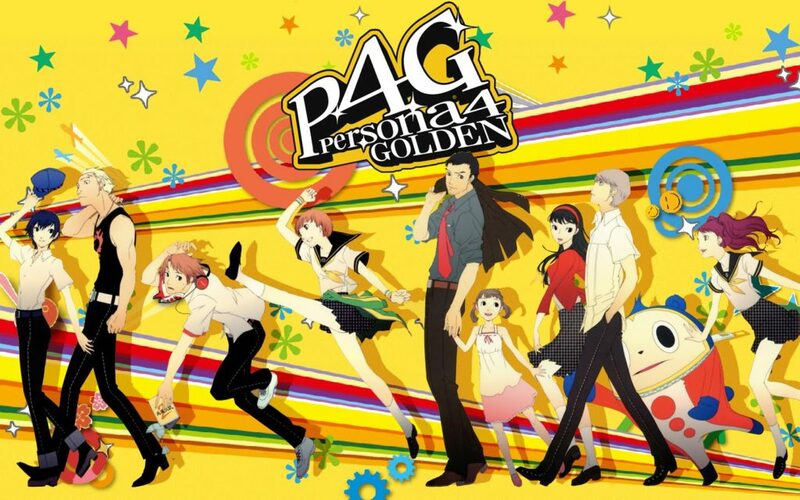 The series has developed both a major mainstream following for more recent titles (Persona 3, Persona 4 and Persona 5) as well as a cult following for the older titles released on the original PlayStation and Playstation Portable (PSP). The reputation of this series has caused prices of the older games to skyrocket, with games like Persona 2 on the original PlayStation selling for over $200 on eBay and Amazon. While most JRPGs are set in far-off fantasy or sci-fi lands and/or other times, the Persona series is set in the present. The games are captivating due to the way they insert magical and mysterious JRPG elements into the modern world. The Persona series is iconic in its relationship building system as well as its battle system that employs the use of “Personas” — creatures that reflect the inner identity of the character that they then summon in battle. 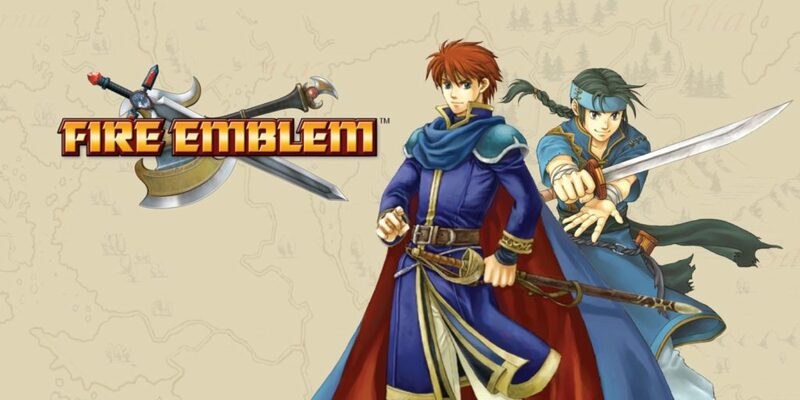 Another iconic — yet lesser-played — JRPG series is Fire Emblem, a tactical game from Intelligent Systems who also developed the Paper Mario and Advance Wars series. It is perhaps one of the most polished and critically acclaimed JRPG series on the market. It’s not as popular among gamers, though, due to the fact that it’s only available on Nintendo consoles. Fire Emblem is unique in its iconic tactical, strategic battle system slightly similar to Final Fantasy Tactics or the Disgaea series. However, Fire Emblem takes the archetype of tactical RPG battle mechanics and infuses them with its own elements, employing attributes of character bonding, terrain variants and weapon classes. Character relationships and bonding play a major role in the game, as characters can get married and have children. 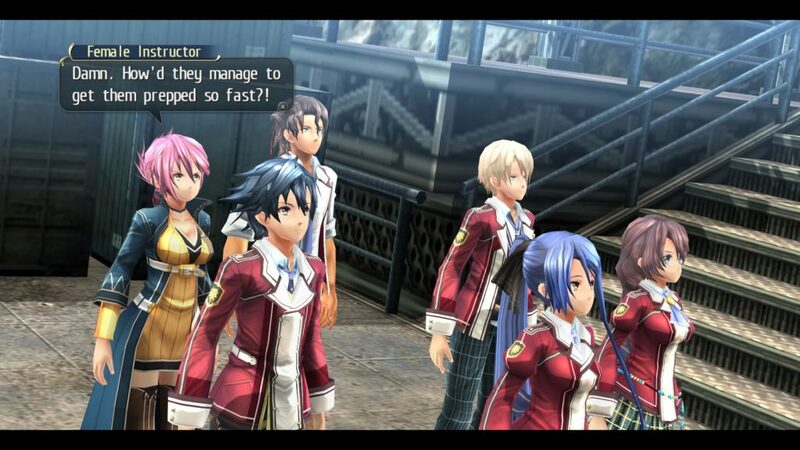 The children of characters are then thrown into the plot of the game and become playable characters as well. The game is incredibly fun but is also renowned for its difficulty. It’s famous for its “permanent death system,” whereby characters who fall in combat cannot be revived adding an important sense of realism and tension to every decision made in every clash. Sometimes, I had to replay the same battle over 20 times to ensure the survival of each character. While playing the series does require the purchase of a Nintendo console, for RPG lovers — it’s well worth the cost. This list had to be narrowed down to five entries, and we know there many other amazing JRPG series we couldn’t include. Did we miss your favorite? Have a must-play recommendation of your own? Let us and our readers know in the comments below! 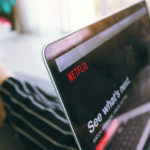 Combine your study time and your chill out time with these five shows that will entertain you and help improve your Japanese. 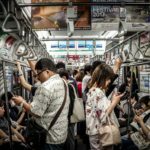 It's never a dull moment living in Japan — and if it ever seems that way, then here are five popular smartphone games many Japanese play to help pass the time.